The South Austin Museum of Popular Culture collects, conserves, and exhibits vintage posters and live music ephemera from the 1960s through today to educate future generations on the rich and unique culture that makes Austin the Live Music Capital of the World. 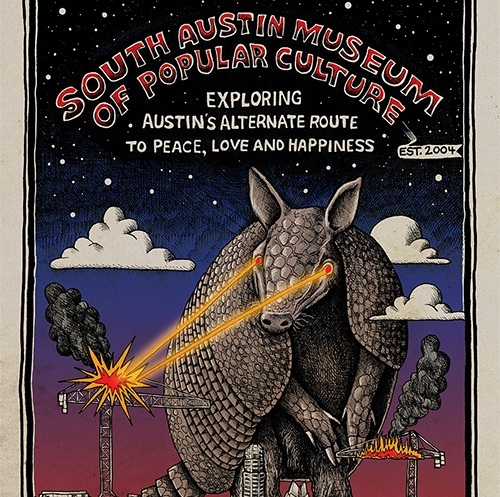 The South Austin Museum of Popular Culture (SouthPop) is a 501(c)3 nonprofit arts organization, founded in 2004. SouthPop is dedicated to being a world class archive and repository of Austin music related art and ephemera. The Museum seeks to create a dialogue between the established and the counterculture, the past and the present. 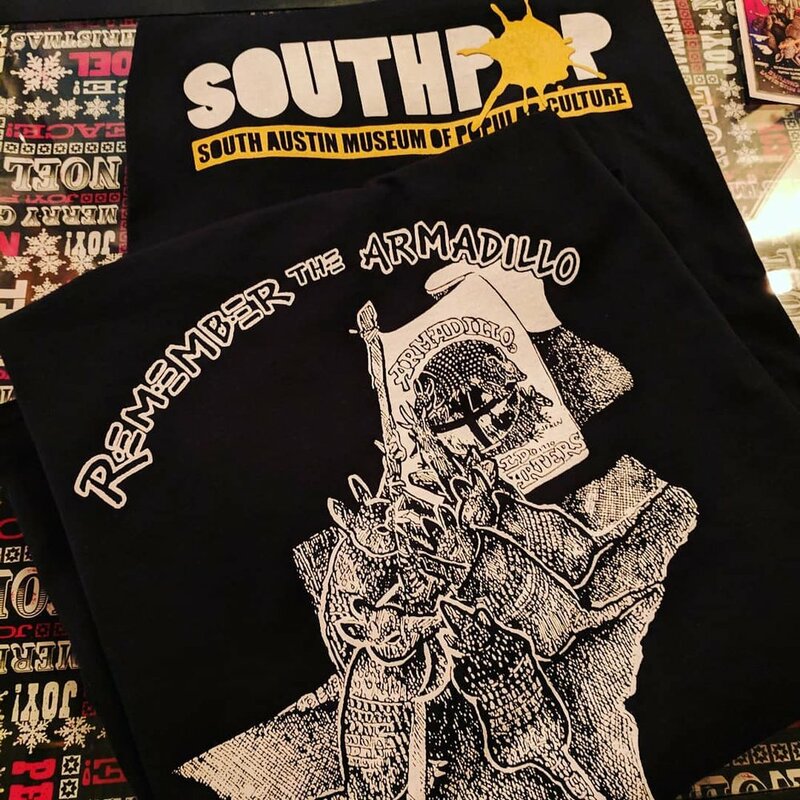 You can find pieces from SouthPop’s collections all over, from exhibitions held at the Bob Bullock Texas State History Museum, the Wittliff Collection, and The Country Music Hall of Fame. We have partnered with filmmakers and writers to document Austin’s music history including Homegrown: Austin Music Posters from 1967 - 1982, Mike Judge’s Tales from the Tour Bus, and so much more! We host a rotating schedule of exhibitions, free performances by local bands, and off-site events that bring our community together through love of art, music, and Austin. Southpop, in addition to holding exhibits in its gallery space, curates events from live music, book signings to cultural happenings. Join us for our free monthly music series the last Sunday of every month! Visit us during the holidays at our booth at the Armadillo Christmas Bazaar and every March, during SXSW, you can find us at the Flatstock, poster convention. SouthPop is is extending an invitation to volunteer at our culture center. As a volunteer there are a wide range of helpful things you can do. We are always in need of helpers to prepare for our concerts and exhibition openings. Anyone who’s good with a scanner should hit us up about our on-going collections digitization project.If you want to get some passes to SouthPop’s off-site events (Austin Chronicle Music Awards, Flatstock Poster Expo at SXSW, Armadillo Christmas Bazaar) we could always use someone with some retail experience. For whatever your skill-set, we probably have something you can do! SouthPop is grateful for the support of our partners. Interested in partnering with us? You can find us at 1516 South Lamar, right in the heart of everything that’s important in South Austin.